﻿ Special plant - SIPI s.r.l. 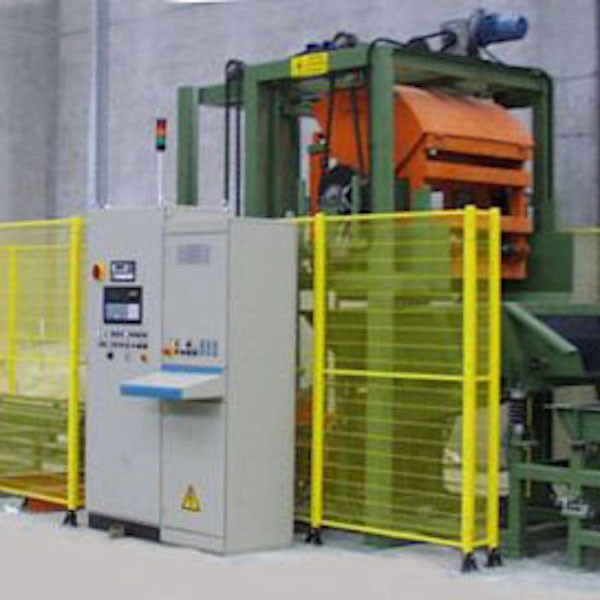 SIPI designs and manufactures a whole range of particular plant, ranging from weaving systems to lines for the weighing and palletising of copper reels, heat-treatment systems, the production of plastic films, airport cargo handling and Look&Place systems for sorting objects. Every personal requirement can be accommodated by SIPI which makes its team available in order to find the best solution that satisfies the customer and optimises investments. 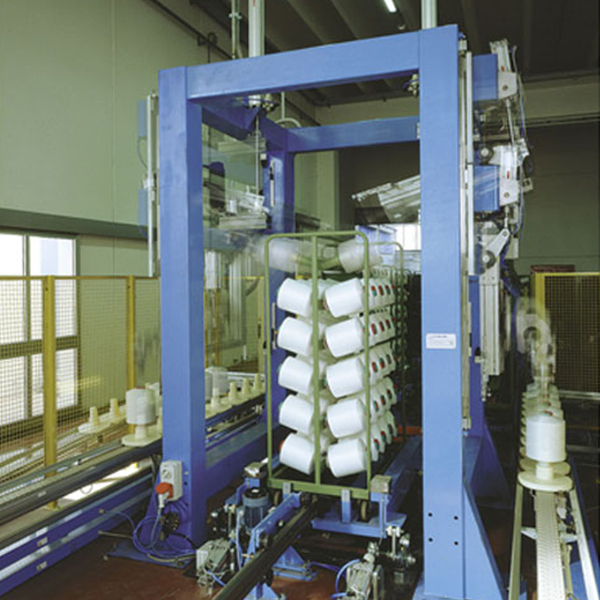 The plant for sorting and packaging of spools of texturised yarn is designed for the textile industry for the production of synthetic yarns. 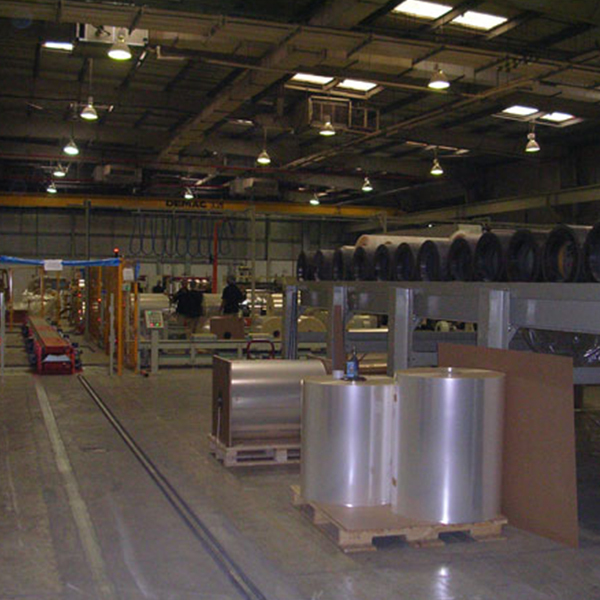 The plant can be designed for automatic unloading of the spools from the trolleys coming from production, sorting by quality, automatic labelling, packaging in film, boxing and palletising. Data management is also provided for with a connection to the corporate computer network. SIPI produces full automation of sorting and packaging of spools of synthetic yarn, from control and packaging of the single spool to the final palletising of boxes packed automatically. 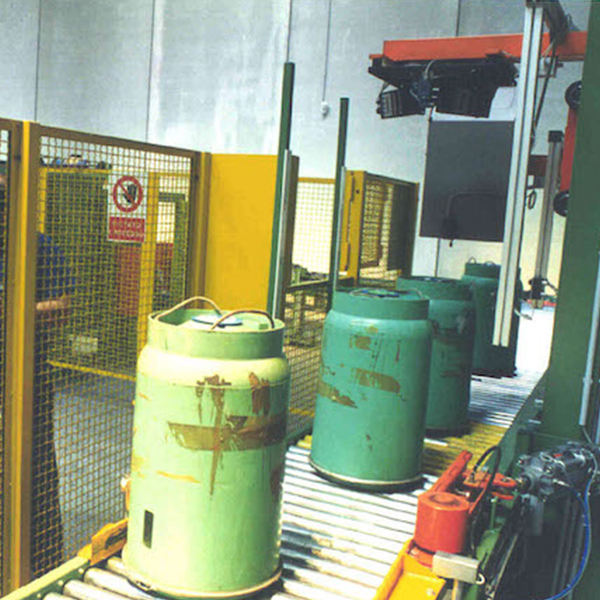 Complete lines for handling reels of enamelled copper wire used in the production of electrical and electronic components. 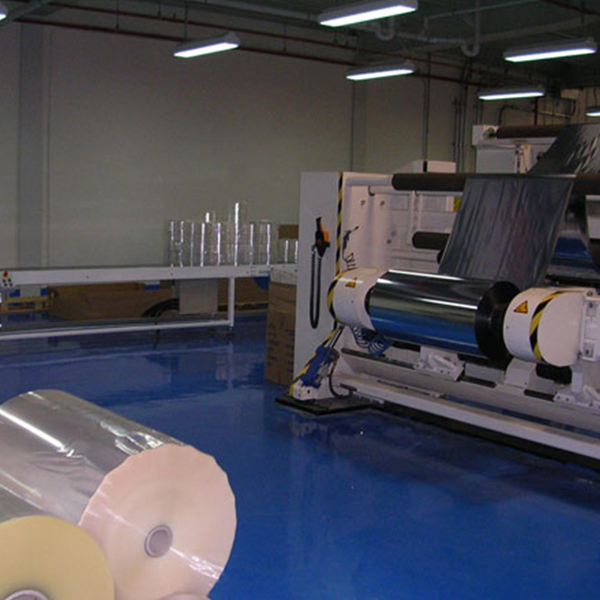 The lines are designed for the handling of reels of any weight and size and weighing, labelling, packaging and palletising according to requirements are carried out. Data management is also provided for with a connection to the corporate computer network. Automatic systems for loading the material to be directed to the heat treatment lines, in the quantities and at the times programmed. The above systems guarantee the homogeneity of the flow of material through feedback devices that act on the loading equipment. The systems can interface to the corporate management system for progressing production, loading-unloading of inventory, storage management, etc. The SIPI Plant Division designs and manufactures loading and supply plant for the lines for the heat treatment of metal fasteners and parts of various kinds. 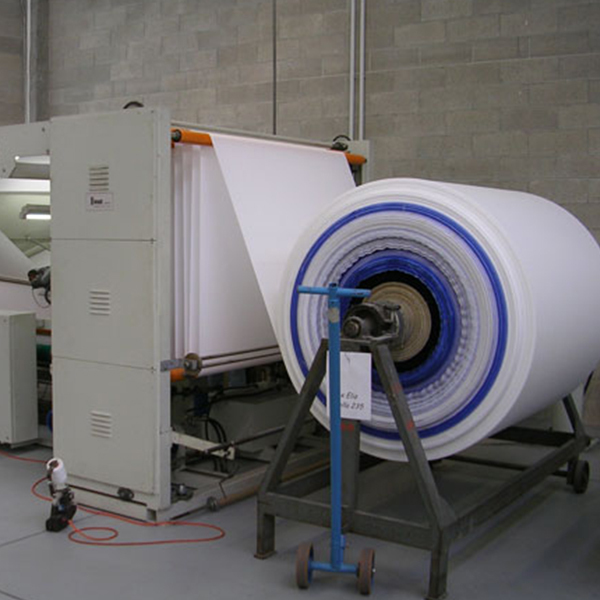 The SIPI FILM systems are specifically designed for companies that produce, print, join and cut film. 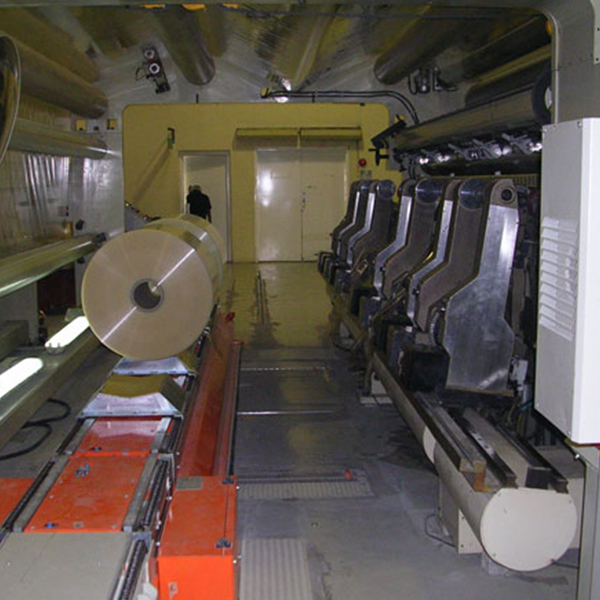 The SIPI FILM system manages the entire production process from the creation of the mother rolls, storage in the warehouse, with automatic management of the same and the bridge cranes, printing, joining, cutting and the stages of packaging and shipping to the customer. All processing steps are tracked and guided. All paper documents are produced and the times and costs of production are detected and logged for each order. 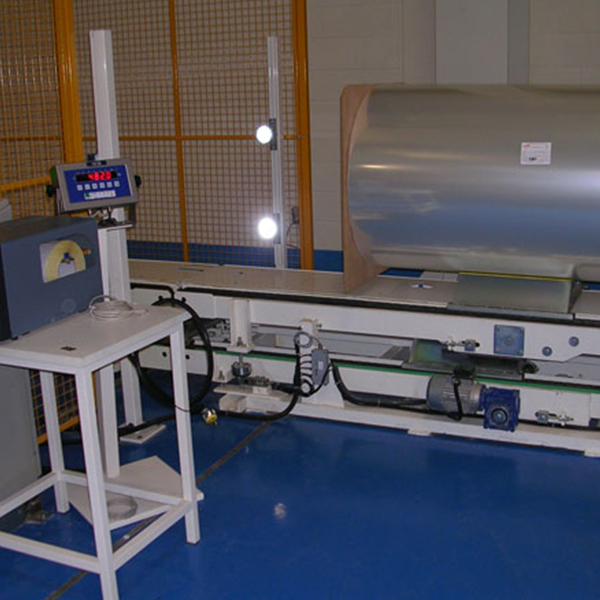 The handling and weighing systems for the materials intended for cargo handling are produced with motorised conveyors capable of handling pallets intended for air cargo. Large-capacity electronic scales can be installed on lifting platforms. The scales are accompanied by digital display indicators with luminous, oversized digits. Castor Deck platform: system for the complete handling of Air Containers (ULD) during Inbound and Outbound operations, formed by a steel platform with pivoting high-strength rubber wheels. The Castor Deck makes loading and unloading the aircraft to/from the vehicle to the sorting systems especially easy and quick. It allows the easy horizontal movement of the containers inside the airport hubs or headquarters and remote branches, supporting the preliminary procedures for sorting during Inbound. The Castor Decks can be coated with powder coatings or treated with anti- corrosion zinc plating and are made with the supporting frame in steel checker plate suitably designed to give maximum rigidity to the structure. Roller Deck platform: steel platform, integrated with idle rollers and containing sides, for straight-line movement or storage without rotation of the Air Container. 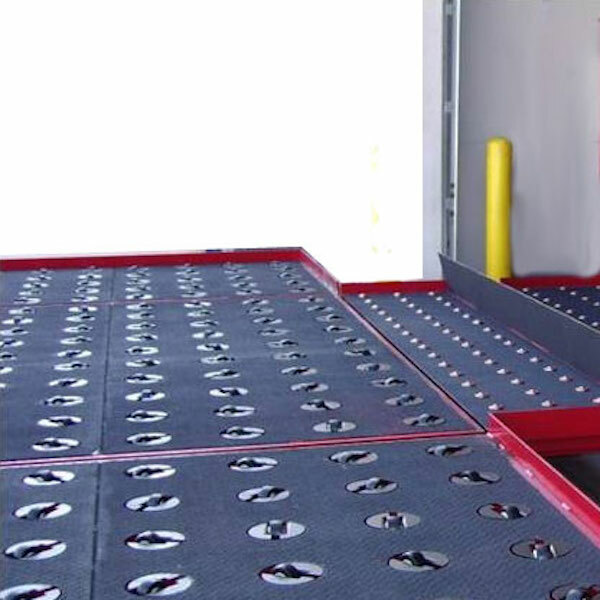 It is the best-value system for handling containers without rotation or lateral movement. It is used especially for the parking of ULDs during loading and unloading. Weighing platforms: weighing platform with fixed frame with standard Castor Deck modules inserted. The loading cells are sized to weigh large-capacity containers. standard Castor deck modules for the vertical movement of the air containers. 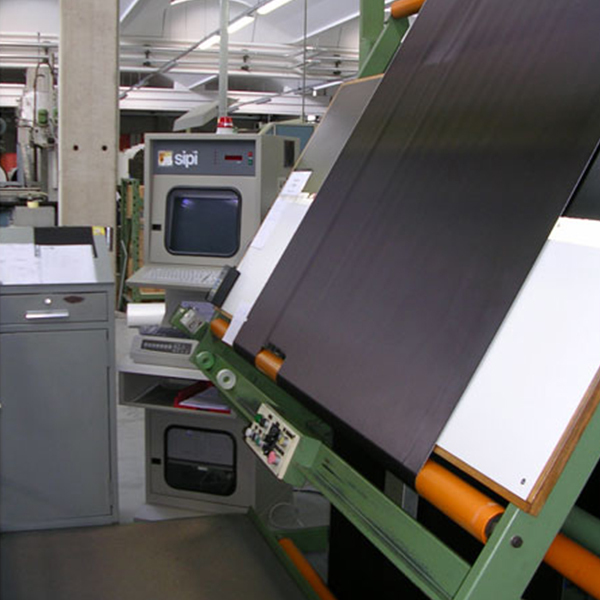 The SIPI VERTEX systems are designed to meet all the requirements regarding textile inspection and verification. They integrate seamlessly with existing or newly-manufactured inspection units managing the measuring, weighing and automatic or manual labelling of the textile, the capture of infinite numbers of types of defects, managing transfers and demerity points. The product is completed by a module for reporting and interfacing to the corporate management system. 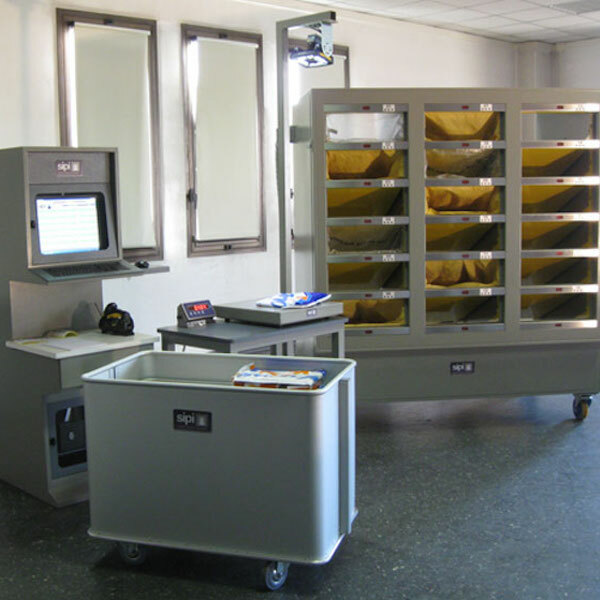 The SIPI look-and-place systems are designed to make sorting of objects, grouping them into homogeneous categories, fast, accurate and safe. Typical applications are the sorting of flyers and envelopes for post offices, shippers etc. The operator identifies the object to be sorted by reading an identification code and a light is immediately switched on to indicate the pigeonhole where the same should be stored. A barrier system allows the correct storage of the object. After the sorting a quick release mechanism allows for removing the bag containing all the sorted objects.